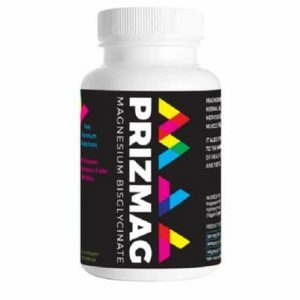 PrizMAG pure magnesium bisglycinate is free from fillers, stearates and magnesium oxide, so you can be sure you are getting nothing but a high-quality supplement. This product binds to a glycine, which is an amino acid that is small enough to pass through your cell walls so that your body can absorb and utilize the magnesium, rather than pass right through your gastrointestinal tract like many other forms of magnesium. PrizMAG is great for those who prefer capsules over powder, and it doesn’t cause bowel intolerance like some magnesium supplements. Studies show that both magnesium and glycine can each be beneficial for sleep, and combined into one easy supplement, PrizMAG packs a powerful punch to help you get the sleep you deserve.